Although the development of the SR-71 began over fifty years ago, the iconic blackbird still looks like a futuristic spaceship. At an altitude of 88,000 feet and wearing pressure suits, its pilots, looking down at the curvature of the Earth from far above any other aircraft, certainly experienced some of what it was like to be an astronaut.  The SR-71 had an unrefueled range of 3,500 miles, and its two Pratt and Whitney J58 turbojets generated 60,000 pounds of thrust while guzzling 8,000 gallons of fuel per hour. 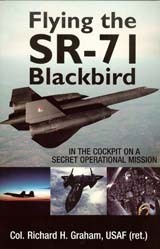 Developed by the renowned Lockheed Skunk Works, the aircraft used cutting-edge technology to cope with the high speeds, altitudes, and temperatures to which it was subjected while its cameras took high-resolution images of multiple targets. Twelve of the thirty-two reconnaissance aircraft were destroyed in accidents, but none were lost to enemy action - the aircraft was simply too fast and too high up. 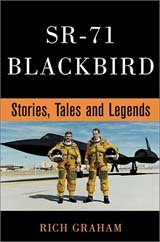 Throughout its career, the SR-71 was the world's fastest and highest-flying operational manned aircraft, setting a number of world records for altitude and speed. It was in service with the USAF and NASA from 1964 to 1999, when it was withdrawn from use, superseded by satellite technology and cut from tightening budgets. Col. Richard H. Graham, USAF (Ret. 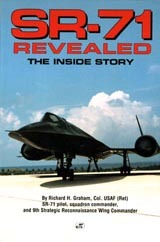 ), experienced the SR-71 program from many angles - pilot, instructor, and wing commander - over fifteen years of assignments, and that knowledge and access makes for a comprehensive book, full of insider stories and rare photos and documents. From the precursor aircraft A-12 and YF-12 to the development, manufacture, and service of the SR-71, the legendary Blackbird flies again in SR-71: The Complete Illustrated History of the Blackbird, The World's Highest, Fastest Plane.